I was happy to be contacted by We Are Royale to assist them in designing some frames for three unique commercials for Nasdaq. The purpose of the spots was to show that Nasdaq is far more than just a stock market. They excel at predictive analytics and data forecasting. I was brought on to visualize the data; to dissect information the viewer is looking at. The world is a complex microcosm of the economy. The result is a data visualization that represents NASDAQ’s capabilities. Employees from Nasdaq would discuss simple items from a pencil, to a cup of coffee, to a soccer ball. These are the material aspect of some practical props used as symbols for how NASDAQ uses data to improve market performance. Nasdaq wanted to explain what they do in order to create these everyday objects, and how these objects drive information received by Nasdaq. The goal was to to make things overly complex to express how MUCH they are a part of things, but evenly balanced in their approach. I was given the foundation of the CG plates, and created my work on top. My particles with lights, and connecting lines would ultimately become the style-guide for the spots in regards to the “look and feel”. “The classic #2. To most, just a simple pencil. 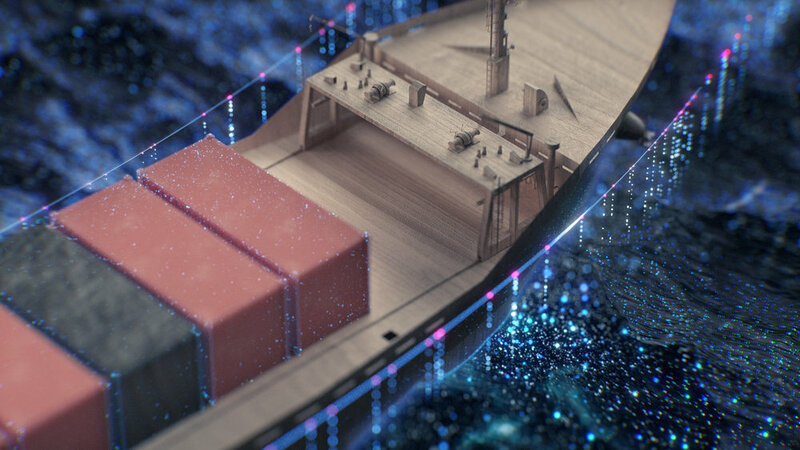 To us its a blockchain used to securely track lumber shippings. 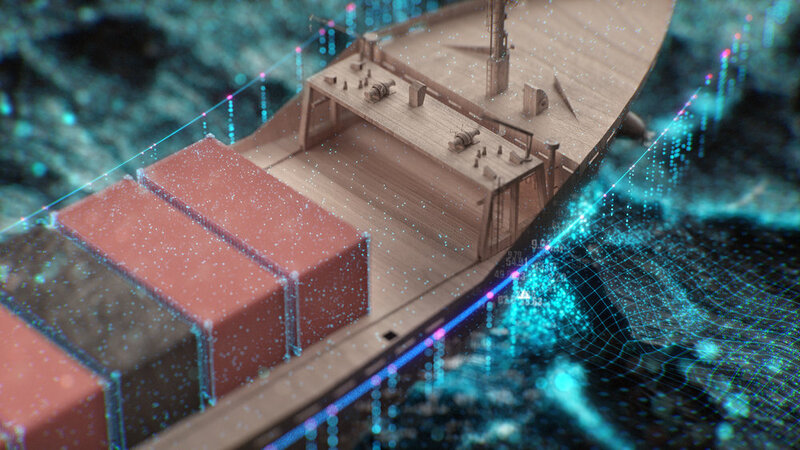 It’s an opportunity.” My goal was to create the bits of connectivity which are acting as a guide to create unstructured shipping data. It’s machine intelligence. The first image in the gif below is the original image I received from We Are Royale. Once again, the first image in the gif below is the original backplate I received from We Are Royale. The thought behind the original frame is that this is the tip of a pencil which is granite. 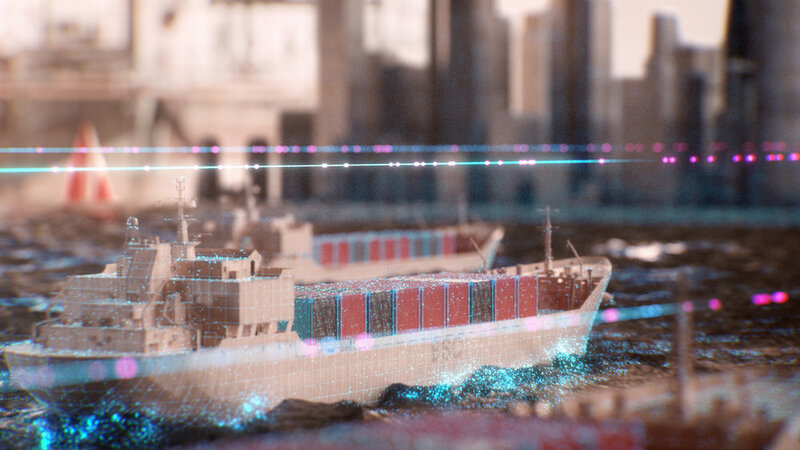 The ships are continuing on their paths towards their destinations and my task was to demonstrate the bits of data acting as a guide on the surface and in the air. 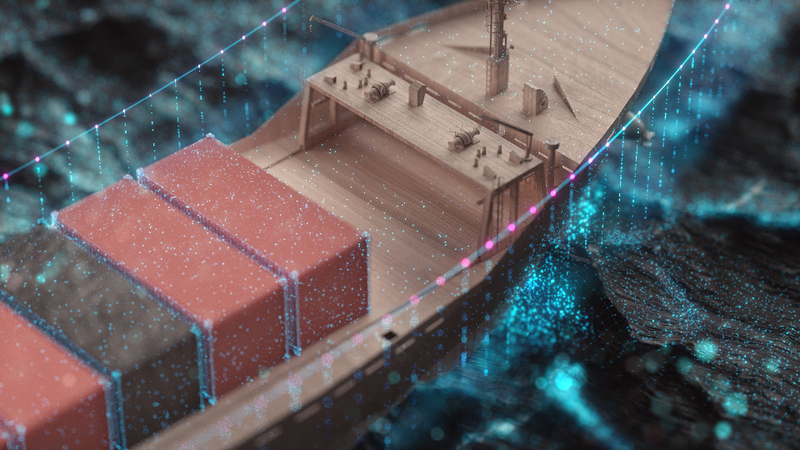 Every aspect of the world is a connection, providing information to each ship. “Coffee; To most its fuel for the morning. To us its predictive analytics for catching droughts in brazil and surging demand in Europe.” Using this as a foundation for my design I tried to create a connected world based on data analytics. Essentially, make the data look pretty. The first image in the gif below is the backplate I received from We Are Royale. 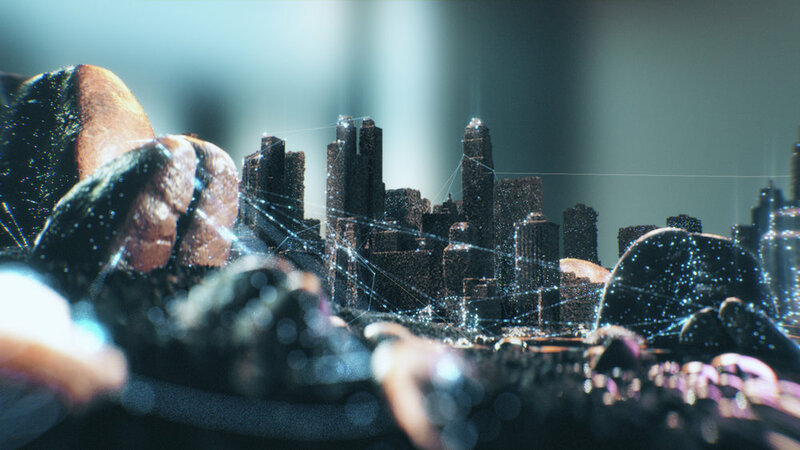 The micro world created from coffee beans and coffee grounds was to be connected through a series of interconnected bits of data and lines for real-time analytics.